The unprecedented growth in highly-senior new member registrations has led to GatedTalent reaching a significant milestone of 25,000+ members representing more than 100 nations. 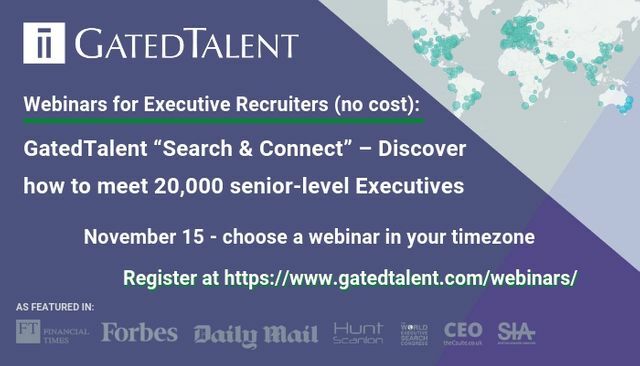 Approximately 10% of GatedTalent members are current CEOs – a truly global talent pool, now open to all Executive Recruiters. 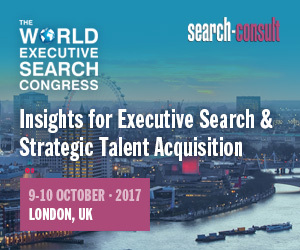 Join one of the webinars on November 15 to learn how the platform works from a recruiter perspective and about its availability to the wider Executive Recruitment community.